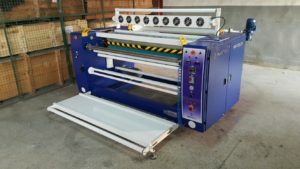 The roll to roll hot foil printing (foiling) machines are available to handle fabric widths of up to 3.2m, with varying drum diameters, depending upon your production needs. They are designed for the continuous printing of substrates used with the fashion, furnishing, shoe, lingerie and home textile markets. 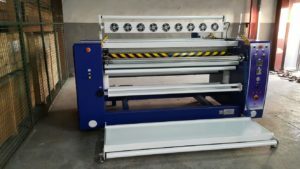 In addition to foiling machines, we can also offer our rotary screen printing machines for the printing of the adhesive to your required designs. This process is carried out prior to the foil application process.